Recorded at Somewhere Else, October 20, 2017. 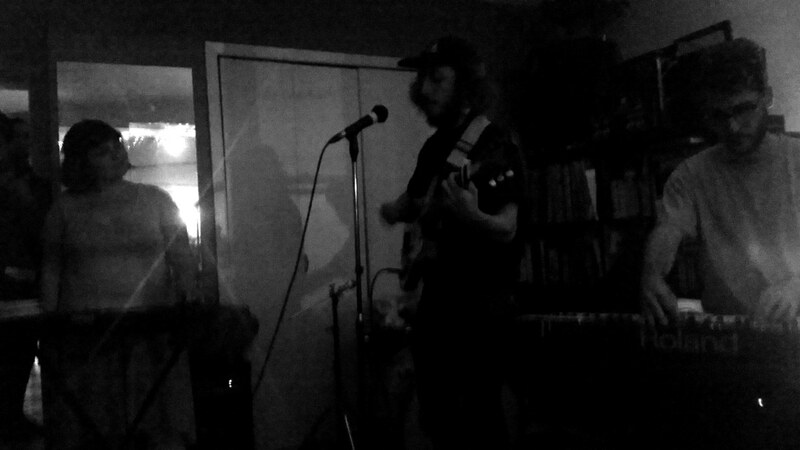 So far as I know, this was only the second live appearance from this project, a vehicle for the poetic lyrics of Jonathan Pappo (best known as the beatkeeper in groups such as WHIMM and Hooded Fang). Bringing his guitar and atmospheric samples, he was given additional buoyancy with floating synth textures from Zoë Alexis-Abrams and Daniel Busheikin (of Grounders and also No Frills, a new-ish combo in which Pappo is also playing drums). I asked Pappo if the "NA" was an abbreviation for "North America" making this an address or if it stood for "not applicable" — and he simply said "yes", so that's a good hint of the terrain explored here: nonlinear but not too ungrounded, this mini-suite of four drifting songs promised more dreamy landscapes to come.